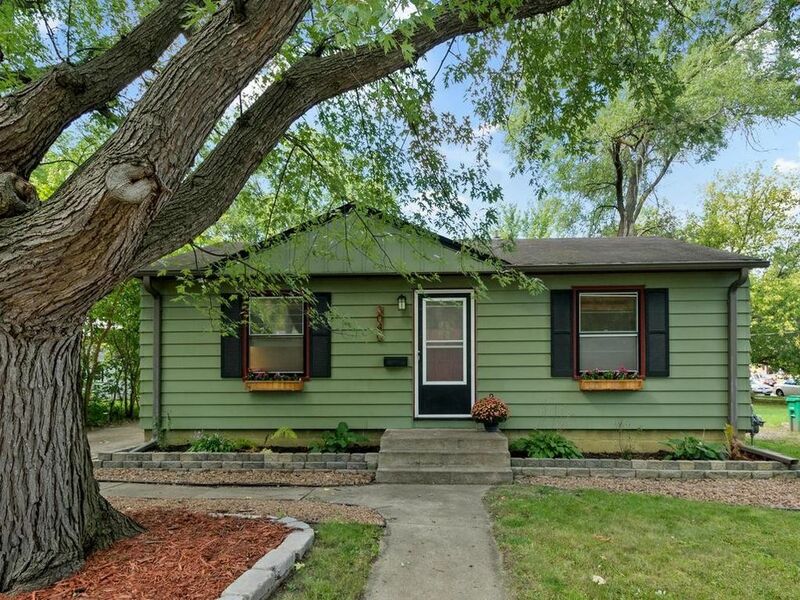 Super charming 2 BR home in great location. Updated & completely ready for you to move in! Kitchen has new cabinets, solid surface countertops, tiled backsplash and fixtures. Electrical has been upgraded; new water heater & new flooring in lower level. Beautiful hardwood flooring throughout main level. Huge back yard space with patio & mature trees surrounding you. Within a few miles of our wonderful city lakes with walking/biking paths, dog park, restaurants, entertainment and shopping! Our business builds upon referrals from great people like you. If you know anyone looking to make a move, please refer them to us!